Ministry of Tourism Culture and Sport recognition. Hook Up Muay Thai Boxing is sanctioned by Kickboxing Ontario, fully affiliated with CSC (Combative Sports Canada) and recognized by the Ministry of Tourism, Culture and Sport. This means that our instructors meet the standards set out by the Ministry for coaching and instructing youth. All of our coaching staff have NCCP Level Coaching and Personal Training Certifications. This guarantees that the level of knowledge directed towards teaching athletics to your child or teen is appropriate for their age and will ensure advancement and not injury as they develop and progress through our sport. Our Coaches & Instructors have Police Checks inclusive of a Vulnerability Sector Search. The importance of having the right coaches with the right credentials cannot be overstated. Positive experiences with athletics carry through into adulthood and form habits which create good health. Competitive Streams. Your child has the option of progressing towards Government recognized, safe and monitored competition at the Provincial, National and International Level. We have years of experience in mentoring and training athletes to safe and successful competitive careers. 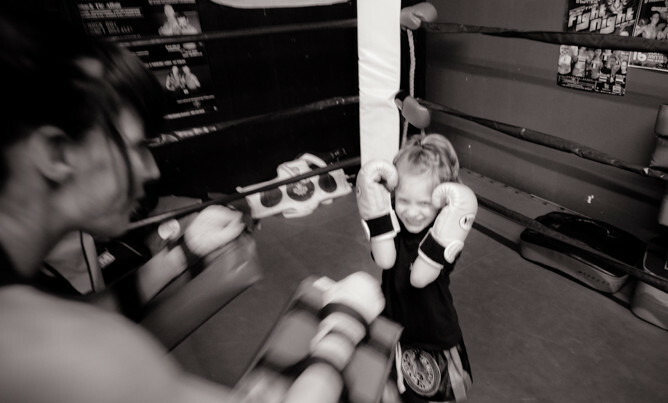 Practical Self-Defense Muay Thai focuses on practical skills. We teach a philosophy of peace and cooperation to our children. We also understand the reality of modern culture is such that self defense is a life skill which every child/youth should have. Our curriculum is authored by Dagmar Grasser, R-ECE and Jim Marinow.Dagmar is a professional Early Childhood Educator and works with childfren and youth in a variety of settings. She plays a key role in running our program as well as the development of our coaching staff as it relates to our Youth and Kids programs. Jim Marinow. Coaches both the National Junior and Senior Teams. He has over 25 years of experience teaching and mentoring youth and kids through martial arts programs.